What do you do if you’re a two-time KOH champion and the winningest driver of all time in the Ultra4 race series? If you’re Loren Healy, you build a Jeep that you can enjoy four-wheeling in with your family and friends. “I wanted something super reliable, and something I could beat on,” Loren said. Loren worked with Off-Road Evolution to put together a 2013 Jeep Wrangler Unlimited that he could beat on hard and know he could depend on it to get him where he wanted to go, and back. When it came to axles, there was only one choice to meet the demands: Dynatrac ProRock axles. “Great thing about the Dynatrac axles are they are plug and play in the JK,” said Loren. Loren’s JK uses a Dynatrac ProRock 60® front axle, the same axle that thousands of off-road enthusiasts and racers have depended on since it was introduced in 2002. 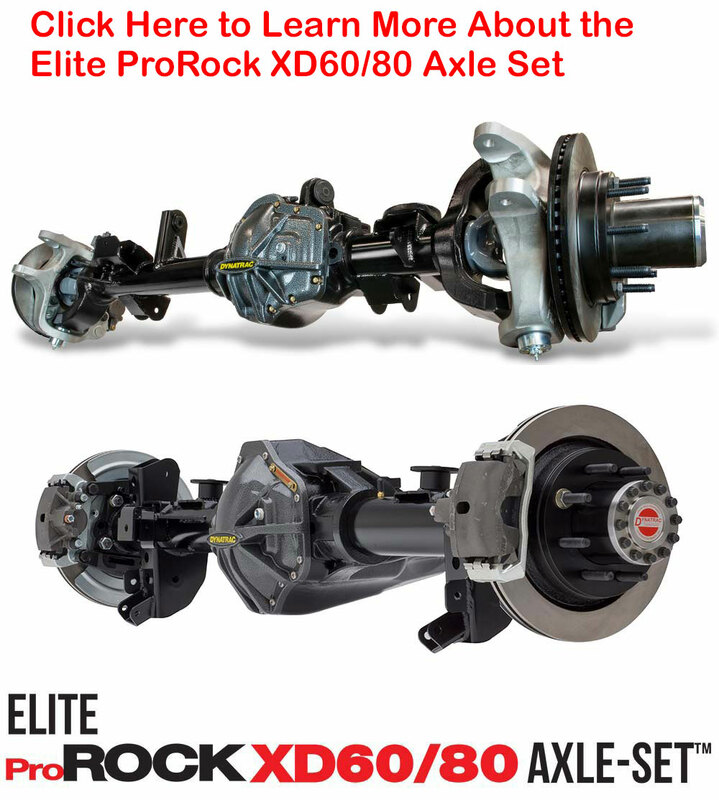 The patented ProRock® design provides more ground clearance than any axle in its class. Under the rear of the Jeep, Loren uses a Dynatrac ProRock 80™, the strongest and lightest axle you can get for a Wrangler. The ProRock 80™ was designed and built especially for big Jeep builds like Loren’s where the extra weight of a four-door carrying trail gear, combined with aggressive driving, can lead to failures in competitor’s 60-based axles. “I’m a race car driver, so I’m probably a little harder on stuff. We’ve had absolutely zero problems,” said Loren. If Loren was building this Jeep today, it would most likely have the Dynatrac Elite Axle-Set™, which uses the same rear ProRock 80™ but combines it with the newer, stronger and lighter ProRock XD60® front axle with 1550LT™ wheel ends. The entire Jeep was built by Off Road Evolution, and includes the company’s Double Throwdown Evolever suspension system with coil-over and bypass shocks. This system lets Loren flex over the biggest obstacles on the trail but not be afraid to hit whoops at speed. It even manages landings well when the Jeep catches major air. Off Road Evolution front and rear bumpers, under carriage armor and sliders protect the body from damage. You might also notice that Loren runs Nitto tires. The 40x13.50R17 Nitto Trail Grapplers are the prefect size for this Jeep build, and the Off Road Evolution suspension makes sure the tires don’t interfere with any body parts without raising the Jeep more than needed. The tires are mounted 17-inch Enduro beadlocks from KMC wheels. The Jeep retains the factory 3.6L V6 and automatic transmission, but uses an Advance Adapters Atlas II transfer case with 4.3:1 low range. This greatly improves the off-road performance and also ensures that the transfer case is no longer a weak link. “We wanted the Jeep to work great on the trails, but I also wanted drive it around on the streets,” Loren said. We call that a winning combination.